In 2005, I was working from images I found on a website where men posted intimate pictures of themselves. These images had no purpose but for men to expose themselves, without a promise of sexual fulfilment. This website later developed into no-strings-attached (N.S.A.) and dating sites. This series captures a unique phenomenon that existed at the time, when these sorts of images were new online and the ‘selfie’ hadn't become mainstream. 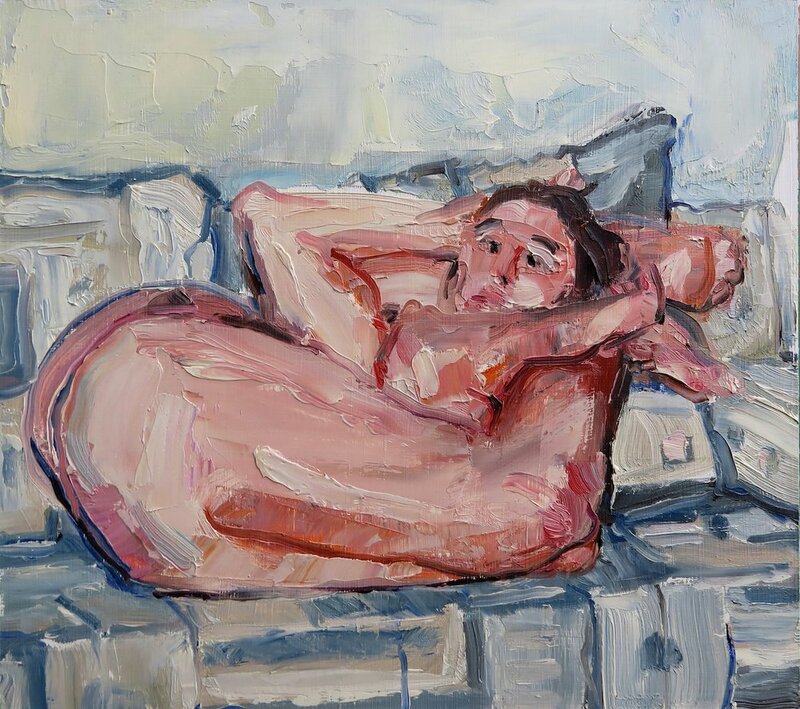 The representation of these images in paint, I hope, reveals something about the act of exposing one’s vulnerabilities and being intimate publicly.